Superfood for IBS, Colitis, Crohn’s & Celiacs. No cooking required. 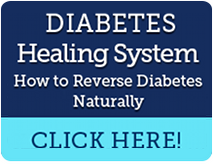 This recipe is a part of Phase 3 (final phase) for IBS and IBD Healing Systems from Europe. It’s perfect for patients after successful completion of Phase I (Eliminate & Detoxify) and Phase II (Heal & Regenerate). I have grown up on hot buckwheat porridge or “grechka” as my grandma called it. I call it superfood because buckwheat has more protein than millet, rice or corn, and it’s rich in minerals (magnesium, manganese, copper and zinc). Both protein and minerals are required to build strong immunity, which is so important for people with IBS, IBD (colitis and Crohn’s) and Celiac disease. Another big plus for people with digestive problems: the buckwheat is completely gluten-free. And it cost just pennies per serving. However, there is a problem…. 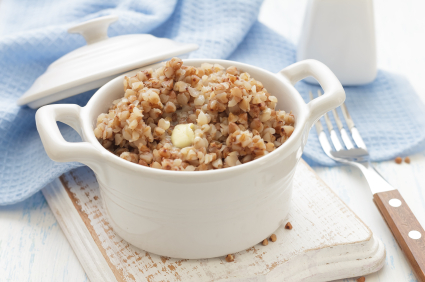 Whole buckwheat takes too long to cook (up to 30 minutes). I love eating hot buckwheat cereal with sweet butter for breakfast but often I don’t have the time to cook it. So, what a busy girl to do? I found a thermos cooking method. Where Thermos-Cooking method came from? The methodology was developed in Europe at the Waerland Clinic in Sweden, and was introduced in USA by my teacher Dr. Bernard Jensen. 1. Thermos-cooked grains preserve vitamins, minerals and natural enzymes. Cooking whole grains on the stove-top requires high temperature. And it’s a fact that high temperature cooking destroys nutrients and enzymes. 2. Thermos cooked grains are easy to digest and very nutritious. It’s a great way to eat gluten free wholesome grains, which is so soothing to a sensitive gut, and it’s better for you than eating cold cereals like Cheerios, Cornflakes and Froot Loops. 3. Saves Time & Energy – no standing and cooking at the stove and no dirty pots to clean. All the skills you need for thermos cooking is your ability to boil water. The thermos heat is maintained for over 12 hours. How to cook buckwheat cereal without cooking it. 1. Wash your pre-measured grain in a collander with cold running water until the water is clear. Then, wash buckwheat once again with hot boiled water. 2. Place 1 cup of washed buckwheat inside the thermos. Add 2 cups of water and salt. Mix well. And you are done! Your yummy, healthy, gluten-free breakfast is cooking while you are sleeping. Because the thermos heat is maintained for over 10 hours your hot breakfast is waiting for you in the morning. What kind of thermos do you need? I use a thermos, which I bought almost 20 years ago in Europe, and it still works very well. Today, you can buy good quality wide mouth thermos online. See you next time with a thermos in hand!!! Chicken nuggets deception: what you should know. I tried this the other night and it worked great! Thank you for the suggestion. I used a Zojirushi Stainless Steel Food Jar SW-FBE75.